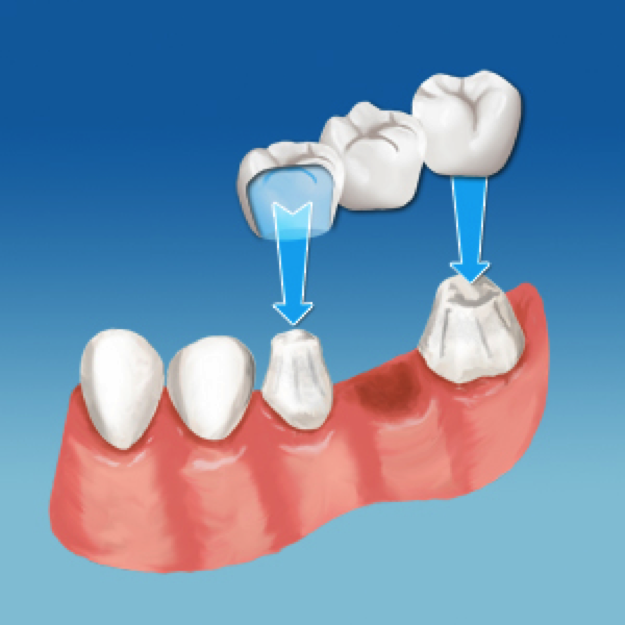 What is a dental tooth bridge? 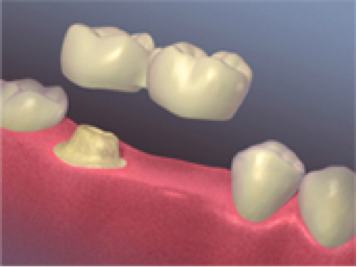 A dental tooth bridge is a dental restoration which is often recommended when you are missing one or more teeth, or when a one or more teeth have decayed and need to be replaced. If the space is not filled, gaps left by missing teeth eventually cause the remaining teeth to rotate or shift into the empty spaces, resulting in a bad bite. The imbalance caused by missing teeth can also lead to gum disease and temporomandibular joint (TMJ) disorders. Traditional Bridge -- This is the most common type of bridge and is made of porcelain or porcelain fused to metal. Cantilever Bridge -- The cantilever bridge supports the replacement tooth from just one side. 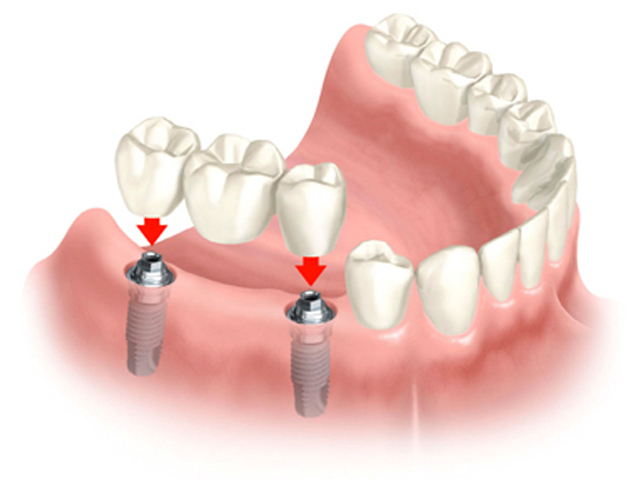 It is most often used when abutment teeth are located on only one side of the missing tooth or in areas of the mouth that are under less stress. 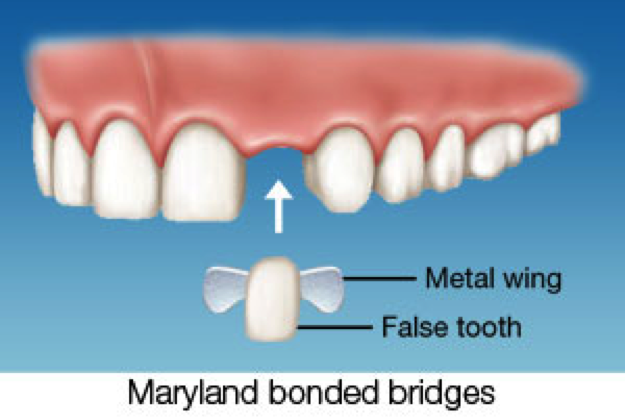 Maryland Bonded Bridge -- Also known as a resin-bonded bridge, this type is generally only used in the front of the mouth where the biting force is less strong. It consists of a false tooth fused to metal bands and bonded to abutment teeth with resin. Find dental bridge dentists near you!